The Philippine and Vietnamese navies got together to play soccer recently in the disputed South China Sea island, according to reports. The navies of both sides have been playing various games on the island for a while but the latest was on Thursday when they met on Southwest Cay. The Philippine side confirmed that it was the third event since 2014 between both sides on the island. The island in the Spratly Archipelago used to be held by the Philippines but the Vietnamese are in control now. The Philippines national football team has recently been suffering surprising and disappointing defeats and this is especially evident by their results during the 2016 AFF Championship where they lost against Thailand on November 25 of 2016 and sustained successive draws with Singapore and Indonesia in that same month. After such an underwhelming string of results, the head coach of the Philippines national side Thomas Dooley has managed to bounce back and push his team to a remarkable 4-1 triumph over Nepal in their 1st 2019 AFC Asian Cup qualification match which was played on March 28. Danny Rose recently disclosed an interesting story about how Mauricio Pochettino had attempted to make a fool of him during his first year in charge at Tottenham and how he had fallen in his trap and had started sulking. According to Rose, it was the summer of2014 when Rose was having a great time playing for the Spurs and life had been pretty good to him all around because he had earned a place in the Three Lions squad as well through his club performances. But, then suddenly one day, he was shocked when Pochettino conveyed to him that Tottenham was thinking about parting ways with him as a pretty profitable bid had come for him. It was hugely disappointing for Rose because he desperately wanted to stretch his career with Tottenham at that point in time. So, that news just put his mood off. The Ceres Negros FC management denied that they will be fielding another team in Mindanao for the inaugural Philippines Football League next year. Club Administrator Nicolas Golez, over the weekend, said that there’s only one Ceres FC team for the upcoming national league. Late last week, a report from a Mindanao-based paper said that aside from Bacolod, the multi-titled Ceres FC will have another for Davao City. Meanwhile, the Ceres FC team is currently on vacation and will resume camp on December 26 for the Asian Football Confederation Qualifying tournament in February – which Panaad Park and Stadium will serve as the home turf. Burridge says the Filipinos bother very little about any sport other than basketball. Everyone is into Basketball and with everyone’s attention on that one sport only, the potential in other sports especially the Footballing potential which the country has got more than any of its neighbouring countries is going a waste as most of it is left undeveloped. Burridge reveals that the soccer knowledge of the Filipinos is such that hardly anyone of them has any idea about Diego Maradona and when he mentions the name Maradona to them, they ask if he was talking about the singer Madonna or what. Thomas Dooley is the head coach of the Philippines national football team and he has recently voiced his thoughts about the upcoming 2016 edition of the 2016 AFF Suzuki Cup which is scheduled to kick-off on November 19 and conclude on December 17 of the ongoing year. 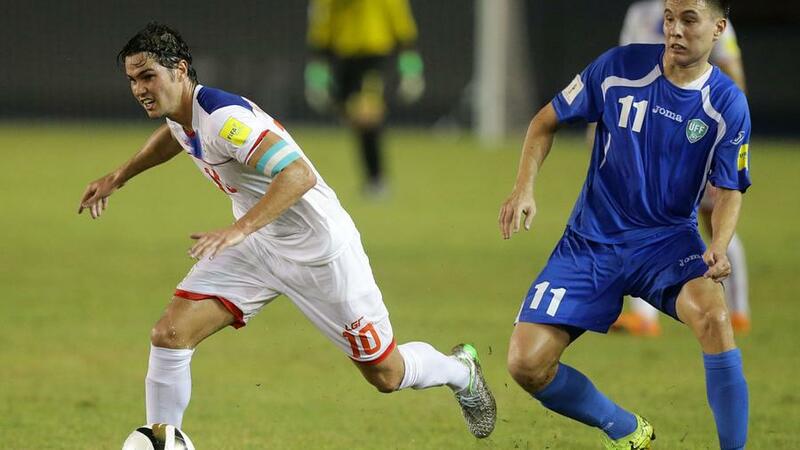 The Philippines national football team has consistently struggled on making it past the group stages. From 1996 until 2007, Philippines never managed to make it past the group rounds of the competition but in the following years they have been able to reach the semi-finals but that is the furthest that Philippines has ever reached. Thailand are the current champions of the AFF Suzuki Cup and are the favorites of defending it as well. The Thailand national side has won this competition on 4 occasions which is the highest amount of times for any team along with Singapore who has also lift the title 4 times. In the 2016 AFF Suzuki Cup, Philippines was pitted in the same group as Thailand and the head coach of the Philippines national side has talked about what it’s like of being placed with the current champions as well as with Singapore and Indonesia. The Philippines has some talented soccer players and Trinity Wambolt is one of them. She was recently at Lasso where she played with the youth soccer team on behalf of the Philippines. It was part of the regional champions for the Asian Football Confederation. Even though she hails from Mississauga, her mother being a native of the Philippines has allowed her to play and represent this country. She is a young player with talent and promise, a reason that she was selected to be part of the under 14 team that has played in the Asian Confederation games in Laos. Philippines soccer has been improving steadily in recent times both at a club and international level. This is evidenced by the results that Philippines club get in the continental cup competition as well as the national soccer team. Two Phillippines soccer club Ceres and Kaya FC are currently doing well in the AFC Cup where they have the possibility to make it to the last 16 of the tournament. When you know that last year they were performing poorly in the same competition, you will clearly understand that there has been some progress that took place. Similarly, the national team has steadily been improving. They are now ranked 115th in the world which is the highest rank they have achieved in the FIFA ranking. Just 10 years ago they were 191st in the ranking. The Philippine men national team nicknamed Azkals moved up FIFA ranking from the previous 135th position to the current 116th in the world. In the comparison for Asian countries, Philippine soccer team were placed 16th overall in the Asian Football confederation. The Iranian national team received a huge profile leap after being ranked 1st in the Asian Football Confederation and 42nd in the full list by FIFA. 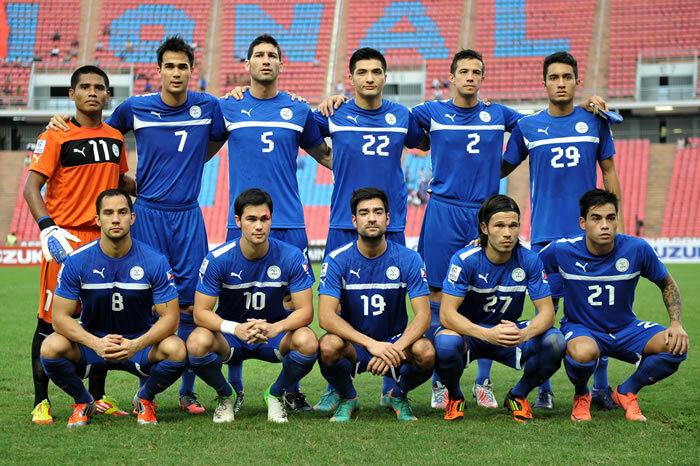 The Azkals recently finished third in the group H world cup qualifying campaign. This is believed to be one of the reasons for the huge leap by the Philippine national team. The team also had an historic 3-2 win over tough opponents North Korea but lost the chance to play at the world cup finals. Despite the loss, the team will advance to the third round of the 2019 Asian Football Confederation cup.